Do you know what Fiverr is? No? You’ve not been listening have you? 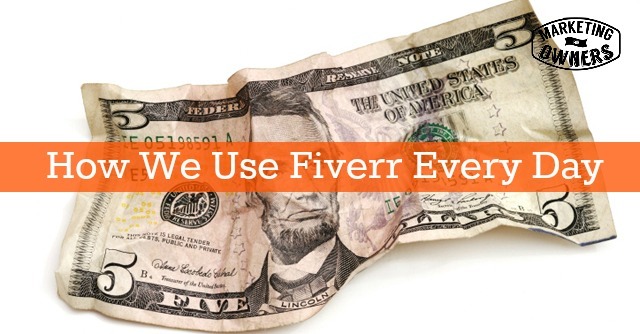 Fiverr is an outsourcing site where the vast majority of the jobs, what they call gigs, cost $5. For those of you, not in the United States of America, for instances those of you in UK, that’s about 3 and a half quid. The people who do the work are all over the world, including in the UK, including in the US and Canada. And they do jobs in their spare time for cash. It’s easy but they’re great. So let me give you an idea of how a gig on Fiverr would work. We sometimes have our podcast edited. If my editor’s not available I’ll go to Fiverr. There will be an expert podcast editor who does this all day long and for him or her, it takes maybe 5 minutes. $5 dollars of 5 minutes works pretty good. They have WordPress fixers, so if I’ve ever got any issue with WordPress, and it is something that cannot be done by me, there’s a guy in the USA who does WordPress fixes. He has done thousands. Proofreading– everything we write in my businesses or have written, we then send to be proofread on Fiverr. Generally you get something like 12-15 hundred words proofread for $5. We use a person in the UK, a person in the USA and the nice lady in Canada depending which market it’s for. They can proofread in any type of English, settings in the computer you know. Just the other day, I wanted a spreadsheet set up and a spreadsheet that has got a lot load into google docs and google sheets to calculate some goals I was tracking on things like podcast downloads, members, email opt-ins and I wanted them to do week by week, month by month, to line graph it and all that kind of stuff. Can I do it? Maybe, I don’t know, probably not –have I got staff in my office? In my fire safety business my staff can do it, but I did find someone on Fiverr, who offers to do it for $5 and has it done in 24 hours. The beauty is as well, they advertise the jobs unlike other freelancer site, so you can look up excel jobs, spreadsheet jobs, you’ll find someone on podcast editing or voice over or logo creation or graphic editing or Photoshop editing. Look at those, they’ll tell you how long on average they do it, how many they’ve done. Look at their ratings, see if they’re rubbish, see if they take too long. All that kind of stuff it’s all there. I use it virtually everyday. My staff, if we put all those together in the team, we use Fiverr everyday. It’s brilliant. I would challenge you to go test a job on Fiverr, anything. Just take your company logo, put that on Fiverr and ask, find someone who does logos, you make some if it more modern, not a change, just a 3D version or something like that. Go to it, what’s it gonna cost you? $5. A coffee. Yeah, If it’s no good you can go, Hmm try it again. Try it, you’ll like it. I do. It’s Thursday and that means it is time for a drive time podcast and this is one of my new friends, Bill Guthrie. 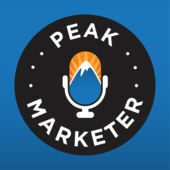 Bill has a Peak Marketer podcast and it’s great. He infuses excellent guess in all areas of entrepreneurship and online business. Bill’s been around for a long time, he knows some good people he has some great guess, but a thing I like about Bill, he knows what he’s talking about. I enjoy that. I listen to a lot of podcasts, but Bill’s was professional. It’s on my iPhone now, ‘Hi Bill — I’m going to send him a tweet about this. He’ll enjoy that. Anyway, try listening to a podcast — trust me, it’s what I do most of my learning this days, especially when I’m driving in the car or making stuff in the kitchen. Give it a go. I’ll speak to you soon. What could you outsource on Fiverr?